A funny thing happened after Special Counsel Robert Mueller’s report killed off the Russia collusion story: The liberal media blistered the liberal media. It’s high time. More importantly, the left-leaning news media has suffered a serious blow to its credibility and to its influence. A recent CBS poll revealed just how significant the damage is, showing that 54 percent of the country believes Mueller’s investigation was politically motivated. That is an astonishing conclusion, considering that for the past two years the country has been fed a steady diet of baloney tying the White House to the Kremlin. Americans are tuning out the media sages and scoundrels promoting lies about the president, which bodes extremely well for Trump’s reelection prospects in 2020. Rachel Maddow, one of the most strident and indefatigable promulgators of the Trump-Putin conspiracy story, reportedly saw her ratings drop 20 percent in the past week. That’s not surprising; for months she hawked revelations about countless purported misdeeds, all of which turned out to be as explosive as wet cement. 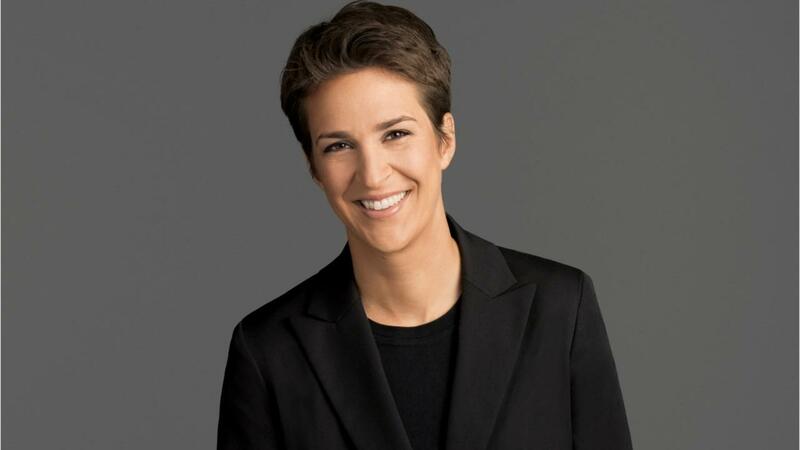 The best was in 2017 when Maddow breathlessly tweeted 90 minutes before air time: “We’ve got Trump’s tax returns…(Seriously).” The world stopped spinning as (half) the entire country tuned in, eager to see damning evidence from the president’s long-concealed financial statements. Surely they would show income streaming from the Kremlin or that Trump had paid not a dime in taxes, right? It turned out Maddow had scored but two pages from the president’s 1040 that revealed…. that Trump’s income exceeded $150 million in that year and he paid $38 million in income taxes. Finally, she told the audience pretty much what they had already seen on social media, courtesy of the president. It was beyond deflating, and viewers went nuts, calling it a “nothing burger” and an “epic fail”. But Maddow is not alone, and she is not the worst. No one expects Maddow or MSNBC, for that matter, to play it straight. The New York Times is a different matter. Peter Boyer, writing recently in Esquire, describes the Grey Lady as having consciously broken with decades of neutrality. He calls the paper out for breaching tradition by describing various Trump statements as “lies.” Times executive editor Dean Baquet blames the change in protocol on Trump; the “birther” accusation, for instance, exceeded the norms of political mendacity. But, as Boyer points out, the Times also described Trump’s claims about his tax cuts as a “trillion dollar lie.” That, formerly, would have been considered editorializing. Today, there is little to no space between reporting and opinion. As I wrote in 2017, the anti-trump fever that infected every nook of the Times culminated perhaps most absurdly in a piece by fashion writer Vanessa Friedman. She gamely tried to convince readers that designers were discouraged by Hillary Clinton’s loss, since they had much preferred the prospect of dressing the former Secretary of State to clothing former model Melania. Seriously? The Times is not alone in its open opposition to President Trump. The Washington Post has been equally aggressive, as have numerous other organizations, sometimes to their peril. “The BuzzFeed story in January alleging that Trump had ordered his former attorney Michael Cohen to lie to Congress was feverishly seized upon by many in the mainstream news media” Boyer writes, before it was killed by Mueller’s office. Right there, Baron reveals what’s wrong with the liberal media today. Why should reporting the news be done with one eye watching “anticipated impact?” Whatever happened to just reporting the facts?